The move to automation and digital has changed the way we do accounting. As you scale your accounting firm and prime your clients with top-notch bookkeeping services, your digital presence should also be in the same league. How do you drive more business? How do you keep the competition at bay? 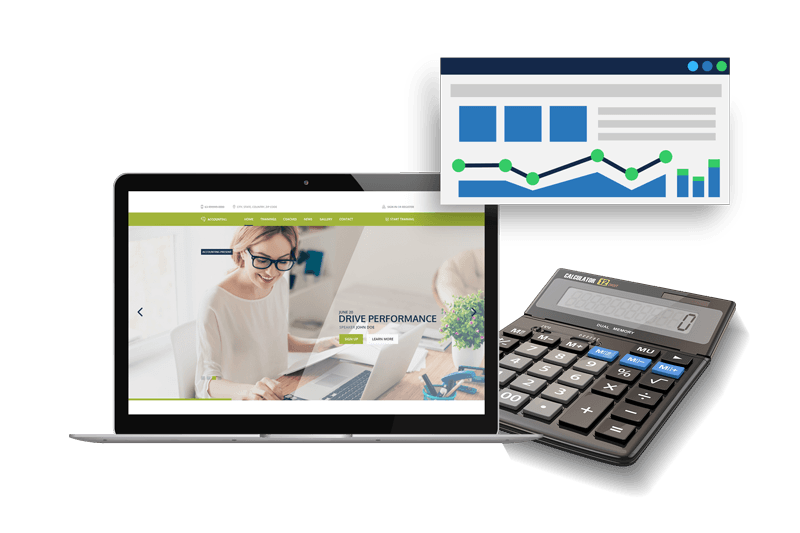 Your answer – performance-driven digital marketing for accountants. We provide a full-suite of services in digital marketing for accounting firms, helping businesses as they go through their digital transformation. Get your accounting business on the first page of search results. SEO can help you bring online traction to your brand while targeting potential clients who are looking for your accounting firm. What’s the first place potential clients go? Your website. Give your accounting firm’s website a fresh look with our web design solutions. Get your accounting site on the first page of search results instantly with PPC campaigns handled by our certified Google Ads specialists. Reach and engage with your audience by optimizing your social media channels. We’ll take care of that with our social media services. Search engines are the primary tool people use to find information about businesses. If your website is on page 3 and beyond of search engine results, you’re losing potential leads to the competition. With a solid SEO strategy for your accounting firm, you don’t have to worry about dropping to page 10. When it comes to SEO for accounting firms, the campaigns we’ve handled throughout the years speak for our expertise. Our SEO methodology leverages search engine best practices to make your website appear on the first page when customers search for accounting services. We optimize your website with the right keywords and quality content that speaks to your audience, so it will rank when clients search for your business. We take link building seriously, and the SEO campaigns we’ve launched for clients attest to this. Our SEO strategies involve different channels to make your brand visible to your potential customers. Years of experience in the digital industry serve as our arsenal to optimize your website for high ranking opportunities. We love getting into the nitty-gritty of SEO and all the technical stuff that you don’t need to worry about. Think of your website as your online business card. If you don’t have one, or the one you have is not up to par with the competition, it’s time to consider a new web design for your accounting firm. And what’s great working with us for your web design needs? We know the balance between aesthetics and functionality. Every accounting website design we create is built on the best practices to make websites that appeal to target visitors and search engines. 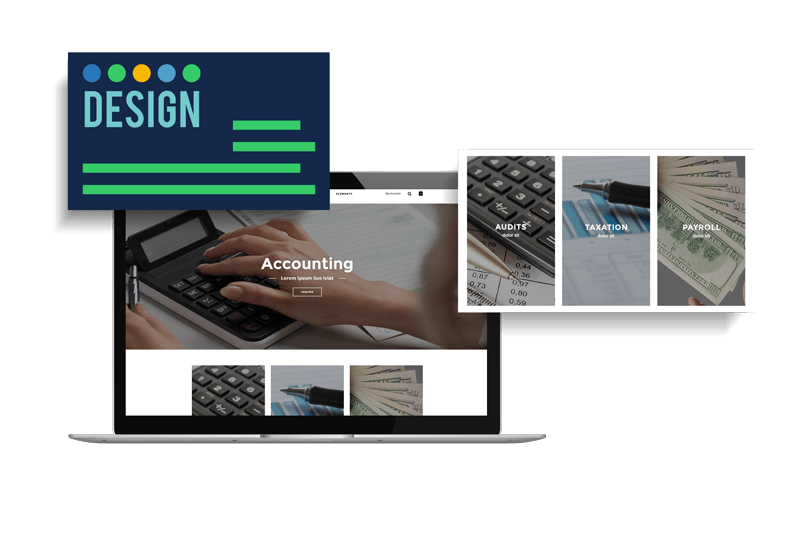 From conceptualization to development, our team of graphic designers, website developers, SEO specialists, and writers work together to provide you with topnotch accounting website design. Flexibility is what we’re known for. Our team can build your accounting firm’s website design on your preferred platform. Talk to our experts, and we’ll find a way to make it happen! 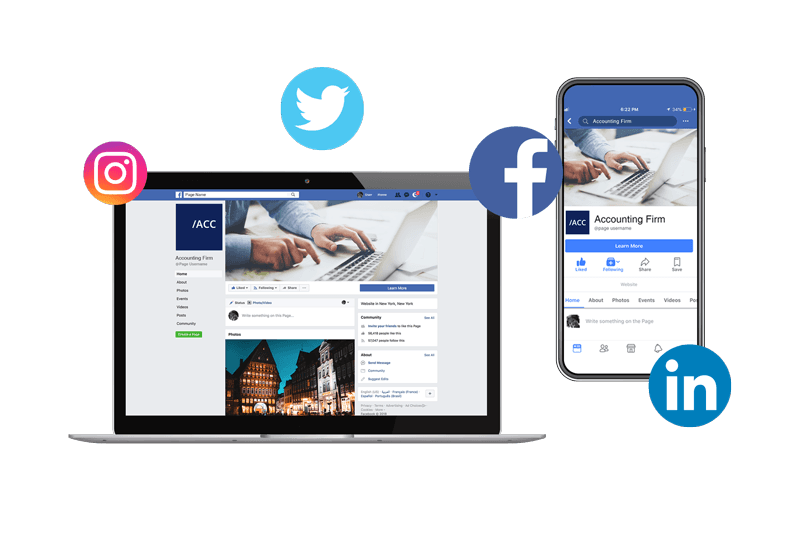 Social media marketing for accountants as a strategy is slowly gaining traction, with the Philippines taking the top spot for most time spent on social media. How do you leverage this for your accounting firm? It takes more than just a couple of posts, tweets, and likes to catch up on the online chatter and build your presence on different social platforms. You need a solid strategy, and we’d be happy to provide it for you. Got Facebook? LinkedIn? How about Twitter? Our social media specialists will optimize your profiles to reflect your brand and build your presence on these social channels. Social media feeds sprout information every minute. If you’re not out there, you’re losing customers to the competition. Part of our social media strategy is to provide you with content that sends your message across and drives real engagements with your followers. Expanding Your Reach on Social Channels and Beyond! Social media for accounting firms isn’t just about making noise – it’s about expanding your client base. Our experts are here to do that for you, so you can focus on growing your accounting business. Getting on the top positions of search results instantly? It’s possible with PPC. The key is to have the right keywords and a compelling ad that target the intent of your customers. That’s what our PPC marketing for accountants is all about. 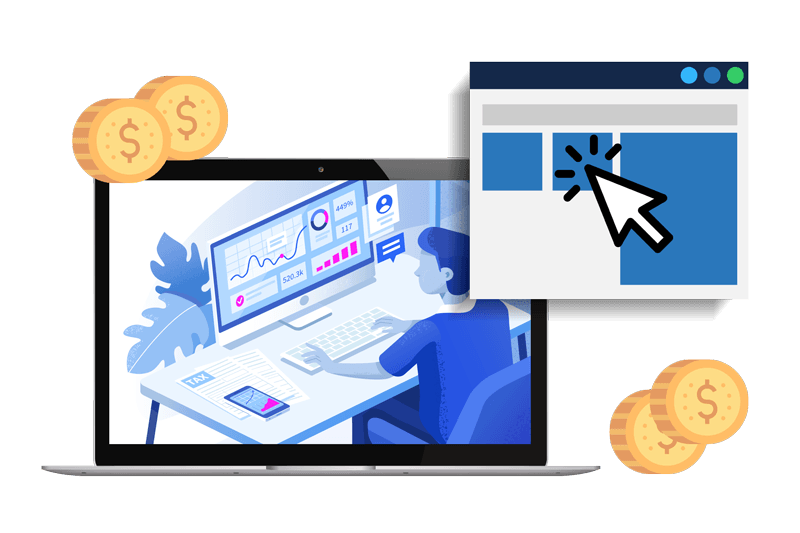 We have years of experience in launching ppc campaigns for businesses and we extend this expertise to accounting firms looking to get more clients. Our strategy to maximize PPC marketing for accountants consists of ads within the Google Search Network and Google Display Network. Every ad is optimized to leverage both channels for high conversions. When it comes to PPC, you’ll always have an expert looking after your campaigns. We have a team of certified Google Ads specialists who will handle your campaigns from the very start of your project with us. It’s what we call Remarketing and one of the many PPC strategies we employ. By utilizing the Google Display Network, we provide your accounting firm with banners that will appear to your leads until they’re ready to do business with you! Get a complete digital transformation with our solutions.